SEOUL -- Hyundai Motor Group shareholders rejected demands for a massive special dividend and board seats from Elliott Management, dealing a blow to the U.S. hedge fund's campaign to shake up South Korea's second-biggest family-run conglomerate. Although Hyundai fended off the threat from Elliott at the closely watched vote, it still faces a daunting challenge of winning shareholder support for a planned restructuring that should aid the handover of the group's reins to heir apparent Euisun Chung. Elliott thwarted Hyundai's restructuring proposal last year, and Friday's win would have provided fresh impetus to empower small investors in Asia's fourth-largest economy, long dominated by powerful elites accused of taking minority investors for granted. 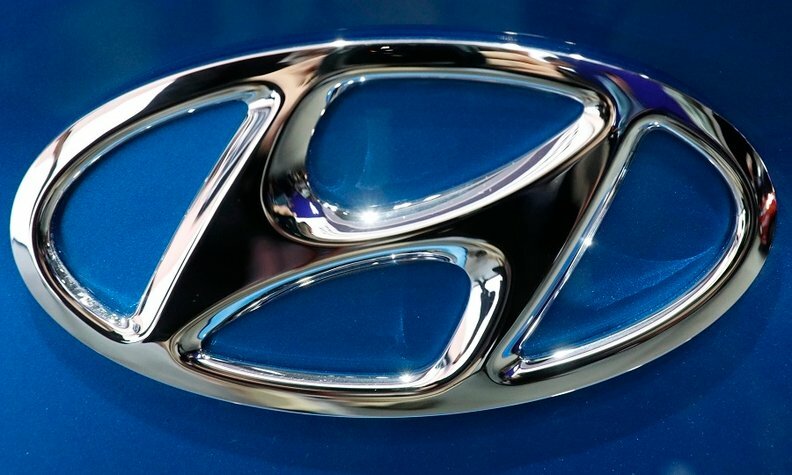 Its demand for 7 trillion won ($6.2 billion) in dividend -- more than six times what Hyundai had offered -- was rejected by other minority shareholders on the grounds that the automaking group needed to lift investment in new technologies at a time of plunging profit. "The dividend proposed by the shareholder (Elliott) may sound tempting, but in the long term, it is like a poisoned chalice or nothing but cutting open the belly of a goose with the golden eggs," Hyundai Motor shareholder Na Hong-seob said at the automaker's annual general meeting in Seoul. Elliott also wanted a total of five board nominees at Hyundai Motor and Hyundai Mobis to address "governance shortcomings," citing investments in non-core assets such as a $10 billion land acquisition in Seoul's Gangnam business district. The conglomerate still faces the bigger challenge of successfully revamping its ownership structure, a process which is attracting close scrutiny from Elliott and other investors amid a government-backed push to curb the power of South Korea's dominant family-run business empires, or chaebols. Elliott garnered support of about 25 percent of voters present for its proposals for Mobis nominees at Friday's meeting. That compared with some 90 percent backing for the firm's own proposals. Elliott said it is "encouraged" by shareholder support for its proposals. "We are confident that the future holds further improvements at Hyundai," an Elliott spokesman said in a statement. Some analysts said Elliott would not mind Friday's defeat as it had a bigger gameplan regarding Hyundai's planned restructuring. "Still a bigger battle has not yet started. I think Elliott aims to ultimately rally support from shareholders and win a better deal in terms of a restructuring plan in the future," Park Ju-gun, the head of corporate analysis firm CEO Score, said. The results on Friday could reduce the activist investor's influence with South Korean investors, said Park Sang-in, a professor at Seoul National University. "Elliott was not able to give a good impression to domestic investors. So, investors who used to be favorable to Elliott may now have second thoughts," he said. "However, Hyundai should present a reasonable restructuring plan rather than slightly tweaking last year’s proposal to win shareholder support." Hyundai Motor's shares fell by about a quarter last year, and while it has showed some improvement in 2019 the company's outlook remains bleak following six consecutive years of falling net profits. "The auto industry is expected to see a tough year ahead, as falling demand in the United States, a major market, and stalling growth in China and Europe remain," Hyundai Motor CEO Lee Won-hee told shareholders.